The funds SU2C raises support innovative cancer research that saves lives now. Be a part of the Stand Up To Cancer movement. 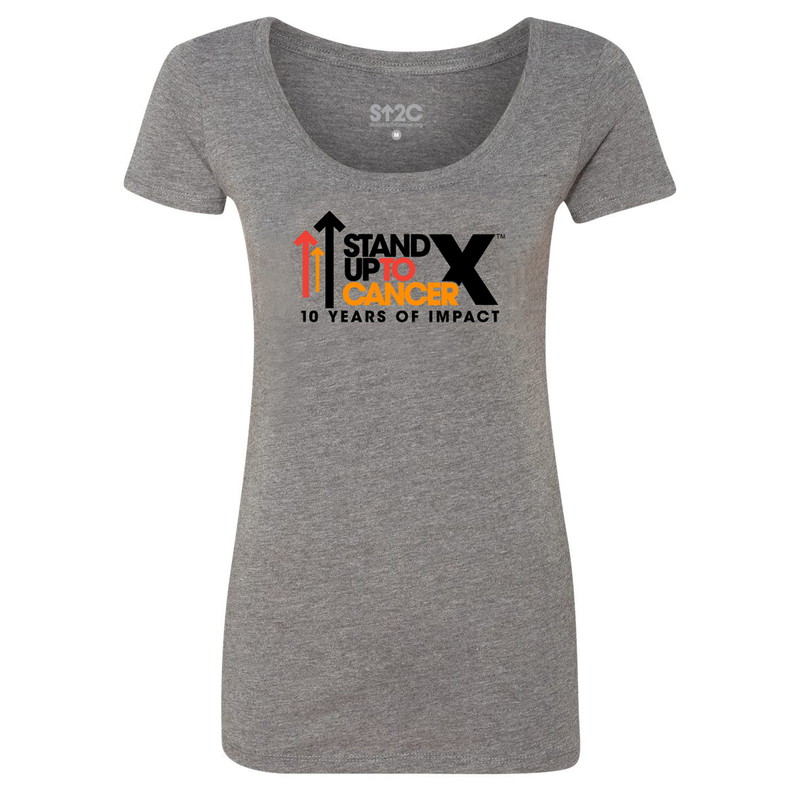 Stand Up with this SU2C 10th Year Logo Women's Slim Fit T-Shirt in premium heather grey. This soft slim fitted t-shirt is great to show your support.